Brussels, 3 July 2013: – The EDAA is pleased to announce the election of Nick Stringer as its new Chairman. Stringer, who was endorsed by IAB Europe’s Board to be the organisation’s representative, is also Vice Chair of IAB Europe’s Policy Committee and Director of Regulatory Affairs at IAB UK. He replaces Alain Heureux, who served as Chairman since EDAA’s inception in April 2012. 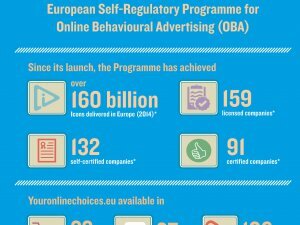 Stringer takes up his new role at a critical point for the EDAA, which has just kicked off an awareness raising campaign to help European consumers to better understand online behavioural advertising and what it means for them. Nick Stringer has been appointed as the Chairman of the EDAA. Nick brings with him a wealth of industry knowledge and works closely with the Director-General and EDAA staff to cement the EDAA as a successful and responsive actor for European (and global) trust in digital advertising. Nick is Vice Chair of the IAB Europe (Interactive Advertising Bureau Europe) Policy Committee, the trade association responsible for promoting the growth of the interactive advertising markets in Europe. IAB Europe represents the interests of more than 5000 members including major media groups, advertisers, agencies, portals, technology and service providers. Nick is also Director of Regulatory Affairs at IAB UK, which is a Board Member of IAB Europe. Nick is a leading figure both in the UK and at EU level working for the optimal policy environment for digital advertising, in particular on privacy issues, and helping to boost the understanding of digital media and its benefits within regulatory and political circles. In his role as Chairman of the EDAA, he will continue to spearhead pan-European efforts to ensure a credible, accountable and responsive system of Self-Regulation for OBA.